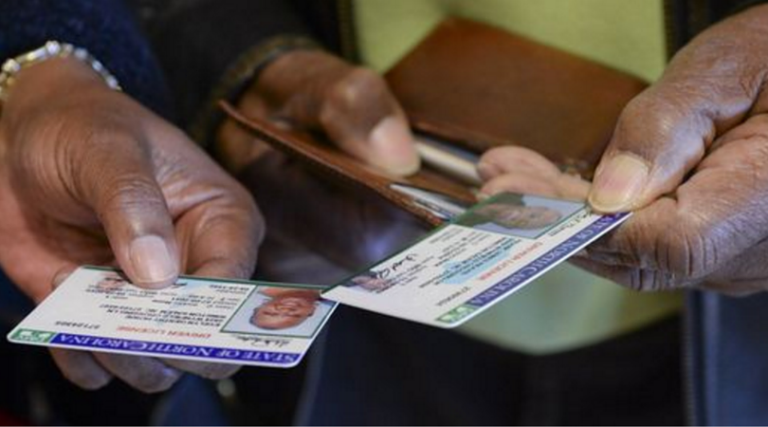 Durham, N.C. — Democracy North Carolina submitted comments on March 15, as part of a public input period on the State Board of Elections (SBOE) temporary rules to implement the photo voter ID law. The two rules drafted (08 NCAC 17.0107 and 08 NCAC 17.0108) would govern how free IDs will be provided by county boards; and the process by which student IDs will comply with the law respectively. While Democracy NC offered recommendations for clarifying the temporary rules as written, the group also noted broader concerns about the practicability of the underlying statutes on student ID compliance and free ID provisions that the draft temporary rules are intended to implement. These concerns were documented in a letter sent to SBOE Deputy General Counsel, Katelyn Love, and are detailed below. S.L. 2018-144 requires SBOE to engage in an “aggressive voter education program” to inform North Carolina voters about the new photo ID requirement, including holding at least two seminars in each county prior to September 1, 2019. It also provides SBOE with additional funding for outreach staff – once fully staffed, SBOE will have a seven person outreach team whose job it is to execute this statutorily mandated voter education program. In contrast, few if any, counties have dedicated outreach staff who can take time away from their regular duties to reach out to voters. Allowing county BOEs to take advantage of SBOE’s robust outreach team is an important opportunity for SBOE to support counties in implementing North Carolina’s latest strict photo ID law on a tight timeline. This change would ensure that voters who are unable to read or write, whether because of a disability or for other reasons, would be able to request and receive assistance without the barrier of completing an additional form. This is similar to Mississippi’s requirements for voters receiving a free photo voter ID from local elections agencies,2 and is also in keeping with the spirit ofN.C.G.S. § 163A-1139(a)(2)(c) and ( d), which allows for voters who have difficulty reading – whether for literacy reasons or because of disability- to receive assistance in voting from the person of their choice (except for their employer or union agent) without completing any additional paperwork. In subsections (e) and (f), include a sentence that allows a voter requesting a replacement card or making a name change to update their mailing address in the registration record in the manner prescribed by law before the card is sent. Allowing voters to update their photos in cases of a substantial change in appearance will help election officials and poll workers tasked with assessing what is a “reasonable resemblance,” and reduce any possible delays in the voting process or voter frustration caused by an outdated photo. Since county voter registration numbers can be the same for voters in different counties, it is important to specify that a voter’s unique voter registration number would be the state-assigned number. After (h), add new subsection clarifying that the voter photo identification request form is not a public record under NC.G.S. § 132-1.2(4). In order to facilitate transparency without violating the voter’s privacy, the SBOE shall instead provide as a public record a list of the names and registration numbers of voters who requested a photo ID under N.C.G.S. § 163A-869.1. Recommendation for Statutory Change: Centralize issuance of permanent, plastic photo voter IDs. While we understand that statutory changes are out of the SBOE’s purview, we cannot offer comment on the draft temporary rules without also noting those aspects of S.L. 2018-144 that pose significant challenges to effective implementation. One of those is the requirement that makes county Boards of Elections (BO Es) responsible for the printing and issuance of permanent, plastic voter photo IDs. Counties already bear disproportionate responsibility for the running of North Carolina’s elections­responsibility that is executed at varying levels of excellence, depending on county government’s ability and willingness to fully fund county BOEs. The new statutory mandate gives these agencies significant additional responsibility without commensurate funding, staffing, or resource guarantees. Instead, Democracy North Carolina urges SBOE and the North Carolina General Assembly to adopt a centralized approach, where county BO Es receive applications from voters for the free county photo voter IDs and issue temporary paper IDs, with the permanent plastic ID mailed to the voter from SBOE or a state-contracted vendor. Based on our research, this is the practice in all other Southeastern states where county elections agencies issue free photo voter IDs – Georgia, South Carolina, Virginia, Alabama and Mississippi. Additionally, it mirrors the way that the NC Division of Motor Vehicles issues its special non-operator IDs and drivers licenses. In addition to reducing the burden on county BOEs, such a change would provide a brief “grace period” for voter registration to be confirmed, in the case of new registrants, and would also make it easier for county BOEs to receive and issue temporary IDs in locations outside of the county BOE office, such as community festivals, university and college campuses, churches, etc., since no special equipment – other than a black & white printer and camera – would be required. Democracy North Carolina does not propose any substantive changes to the draft temporary rule. However, we recommend the following changes to S.L. 2018-144 in order to make the law practicable to as many of North Carolina’s universities, colleges, community colleges, and local government employers as possible. Eliminate the requirement for schools to attest to con.firming citizenship status through their enrollment process. The current language of S.L. 2018-144 has caused significant confusion among North Carolina universities, colleges, and community colleges. Based on our conversations with school administrators, and as shown in the correspondence between SBOE and the University of North Carolina system,3 many campuses have read this requirement to mean that they are responsible for ensuring that any person with a student ID must also be eligible to vote. Of course, the photo ID is required only to prove a voter’s identity; not to confirm eligibility for voting, which remains the responsibility of election officials. But, this incorrect reading is pervasive – virtually every campus we contacted misunderstood the law as written and had to seek clarity either from SBOE staff or advocacy groups – and has been a deterrent to campuses attempting compliance with S.L. 2018-144. In order to eliminate confusion and maximize the number of campuses that are able to make their student IDs viable for voting in 2020, this extraneous requirement should be eliminated. Eliminate the requirement for school ID photographs to be “taken by the university or college or its agents or contractors.” Through our outreach to campuses, we have learned that some of North Carolina’s largest higher education institutions allow for students to upload their own pictures for student IDs, rather than having staff or contractors take the pictures. This is a sensible, modem, cost­-saving adaptation for these campuses, but one that prevents them from complying with S.L. 2018-144 as written. A simple change in the statutory language – from “taken” to “obtained,” for example – would fix this issue and allow more of North Carolina’s campuses to comply with the law, without having to revert back to an unnecessarily expensive 20th century procedure for producing student IDs. Extend the deadline for institutions from March 15, 2019 to September 16, 2019. The existing statutory deadline of March 15 for SBOE to determine which IDs from North Carolina universities, colleges, community colleges, local government employers and tribes will work for voting in 2020 is unnecessarily early, at best. Even if SBOE staff time and attention following the December 2018 passage of S.L. 2018-144 had not been diverted from the short timeline for photo ID implementation by the intensive NC09 investigation, we can imagine no compelling administrative reason to require these institutions to decide whether they are able to comply with the law a full 20 months out from what is likely to be a high-interest presidential election. Now that the requirement to present photo ID to vote has been postponed until 2020, this deadline is even more superfluous. Moreover, this unnecessarily tight deadline in combination with the confusion over the law’s requirements detailed above has further limited campuses’ ability to attempt compliance with S.L. 2018-144. For the many schools that needed clarification about the citizenship status requirement in the law, and did not benefit from the high profile attention and support that the UNC system received, they simply did not have enough time to determine whether their institutions would be able to comply ahead of the March 15 deadline. Check out Democracy NC's recommendations for temporary rulemaking on student and free IDs.